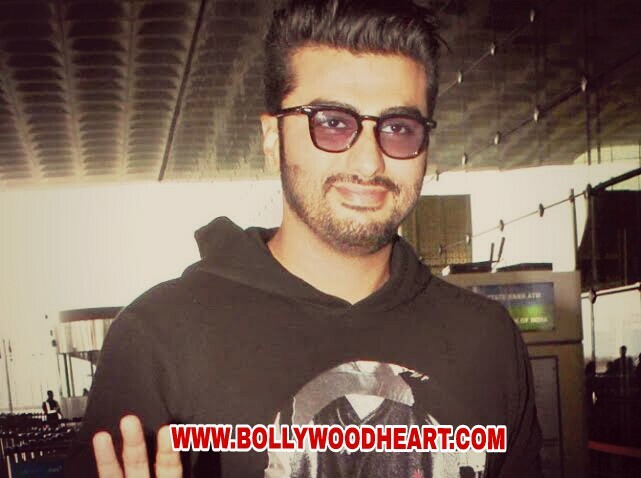 Arjun Kapoor, who is currently busy shooting for India's most wanted shoot, says that he never wanted to be an actor and wanted to be a director instead. Arjun was on Saavn’s new podcast “Take 2 with Anupama and Rajeev” along with actor Rajkummar Rao, where he discussed the reasons for the film's release. "I did not want to be an actor ever, that id where it is different for Rajkumar and me, he grew up with an idea of ​​moving towards one direction. I looked like a basketball so I actually did not think about Acting. I think I wanted to be a director on that day when I saw 'lock stock and two smoking barrels' and I do not know why, I remember that I was in the 10th standard and I was awake at 12 o'clock in the night and I Just watching that movie, "said Arjun. 32-year-old Arjun said that in English, lock stock and two smoking barrels and Hindi film Dil Cahata hai assured him that "you can be ambitious, you do not have to be stuck in cliches, you can think ahead, you can move forward Beyond the case of writing. It was a big leap. " "I don’t think without Dil Chahta Hai you would have actors like me and Rajkummar sitting here because you would have to do quintessential Bollywood as cliched stuff. You will not be able to do films which have a conversation or a banter," he said.